A favorite ‘elevator pitch’ design! This beautiful pendant on sterling silver chain features opals, a peach cabochon, peach moonstone and carnelian. The colors bring springtime into our hearts! Inspiration for a Monday morning! Creating is a marvelous way to start the day! It’s always inspiring to meet a lady from Boston, and a gentleman originally from Seattle and now from Nashville, who stopped at my booth at UT Summer Celebration last week in Jackson to tell me my designs are outstanding! The gentleman used to etch designs into ivory, so we talked design work for a while. Another lovely lady asked me to consider a jewelry design brunch in her home in Memphis. Life is good. Lea Waide wears a druzy pendant accented with labradorite drop, iolite and peach and gray moonstone with earrings by Jacque Hillman, RCF Jewelry, at Spire 73 at the Intercontinental in L.A. on May 22, 2018. Love that my jewelry is worn by such a beautiful woman! Lea is the owner of Hermosa Bikini Co. and an international fitness competitor. For the Moon Goddess! Moonstone and amethyst designed in elegant sterling silver on a hammered silver choker with moonstone and labradorite briolettes. The Moon Goddess and its teardrop design were featured jewelry at the West Tennessee Healthcare Foundation Gala! And today it’s gone home with a lovely lady! Jacque Hillman is the 2016 recipient of the West Tennessee Healthcare Foundation’s Jackson Awa rd in the Arts. She received the award at the Charity Gala on Nov. 12 at the Carl Perkins Civic Center in Jackson. The Jackson Awards were established by the Foundation in 2006 to honor those in the community who exemplify the truest qualities of a leader. The awards are named for President Andrew Jackson, the City of Jackson’s namesake, and are presented to individuals who have served as leaders in one of the following areas: the arts, community service, education, healthcare, leadership and volunteer service. 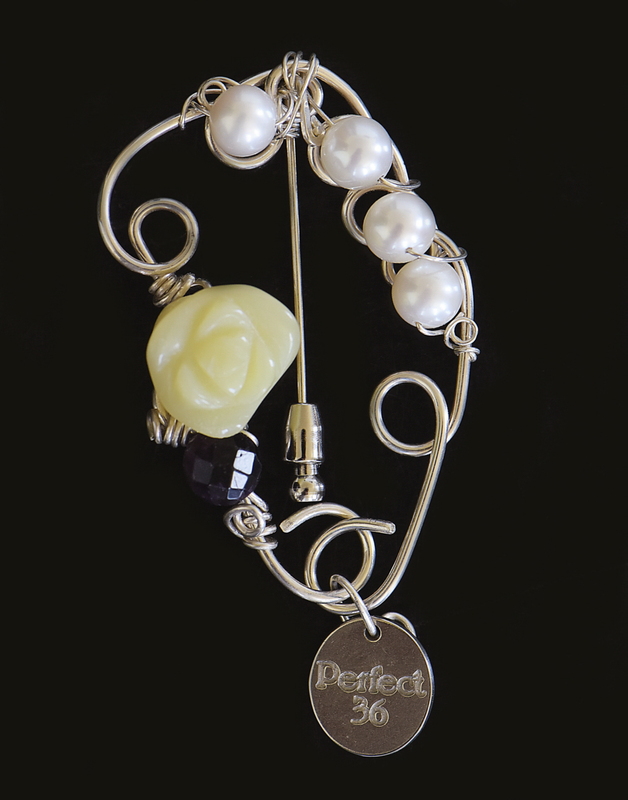 Hillman is the owner/designer of Reconfigured Art Jewelry. She was featured on the PBS TV show, “Tennessee Crossroads,” when she first created her jewelry design company. Her work sells throughout the South and Southwest and was chosen for the Pink Palace “40th Anniversary of Crafts” show. Her jewelry has been chosen for Xanadugallery.com in Scottsdale, AZ. She is a member of Tennessee Craft Southwest Chapter. 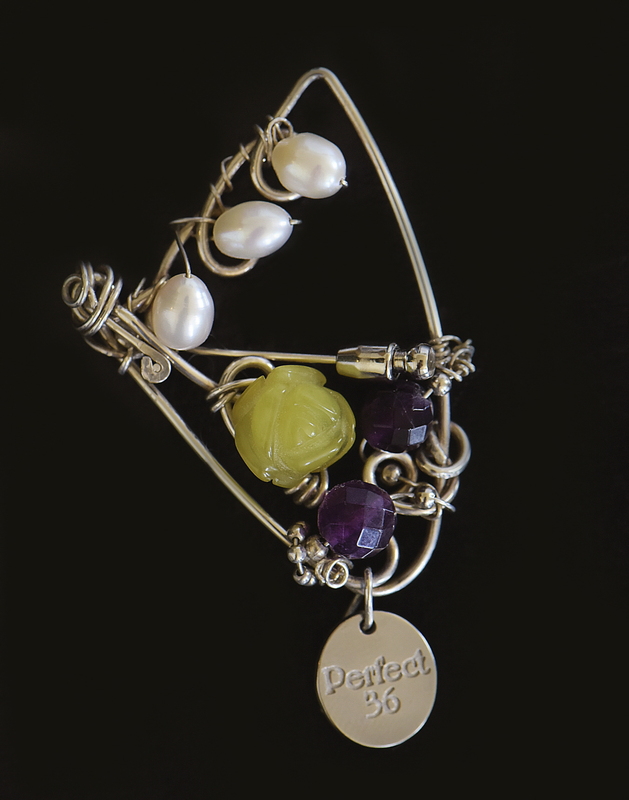 She was selected to design 200 limited edition Perfect 36 Society brooches for the Tennessee Woman Suffrage Monument. She serves as president of the Sue Shelton White Public Art Committee for Jackson, working to fund a sculpture to honor the renowned state suffragist, the first female attorney in Jackson, as part of the state’s woman suffrage heritage tourism trail in 2020. She is the co-founder and president of the West Tennessee Artisan Trail for regional artisans, developing regional art shows and promoting local artists, all juried in fine arts, as well as promoting regional authors, who craft in fine words. 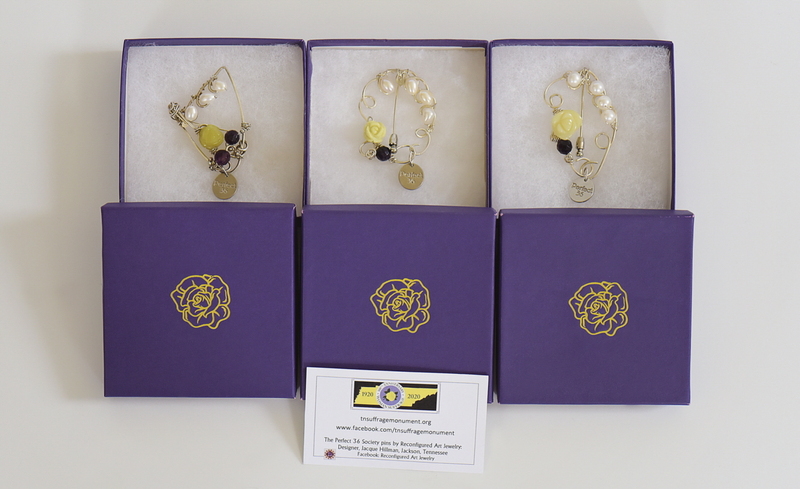 In 2015-2016, I was honored to be asked to design and create 200 Limited Edition Perfect 36 brooches for the Tennessee Woman Suffrage Monument board as a fundraiser. Tennessee was the Perfect 36, the 36th state to ratify the Nineteenth Amendment in 1920. It was highly important to me to create a brooch t hat symbolized the suffragists’ movement, including the yellow rose. The suffragists’ colors were purple, yellow and white. The concept of the wing was significant for “Iron-Jawed Angels,” “V” for the vote, forward-moving and winged victory. I chose an art deco V wing for my own brooch. The final brooches were created of pearls, the Tennessee gemstone, yellow jade for prosperity and courage, and purple fluorite, the genius stone. The brooches are $100 each as designed. For Divas, Goddesses, Earth Mothers, Brides and the WOW Factor Women: Gemstones for life! Welcome to Reconfigured Art Jewelry where the question is: What gemstones should you wear on your life’s journey? Should they be wrapped in copper, sterling silver or gold? Women — and men –have been asking that question since ancient days. Roman soldiers wore turquoise (from Turkey) for safety and success in their travels. Catholic priests still wear amethyst, representing humility and spiritual courage. I tend to reach for labradorite, which in addition to its beautiful blue and green and gold fire, offers intuition. Or fluorite, which is the Genius stone, the stone of creativity. I need that in my pocket every day! And then there’s lapis lazuli, the powerful Philosopher’s Stone of communication. As you, the Divine Diva, the Powerful Goddess, the Soulful Woman celebrating every minute of her day, know all too well, you deserve to make a statement with your jewels. Whether it’s your earrings, or bracelets, or pendants, or chokers, or anklets — it’s all about you! Not long ago I designed a gorgeous anklet of aquamarine and opals in sterling silver and gold for a bride on her wedding day. Yes, she is beautiful! 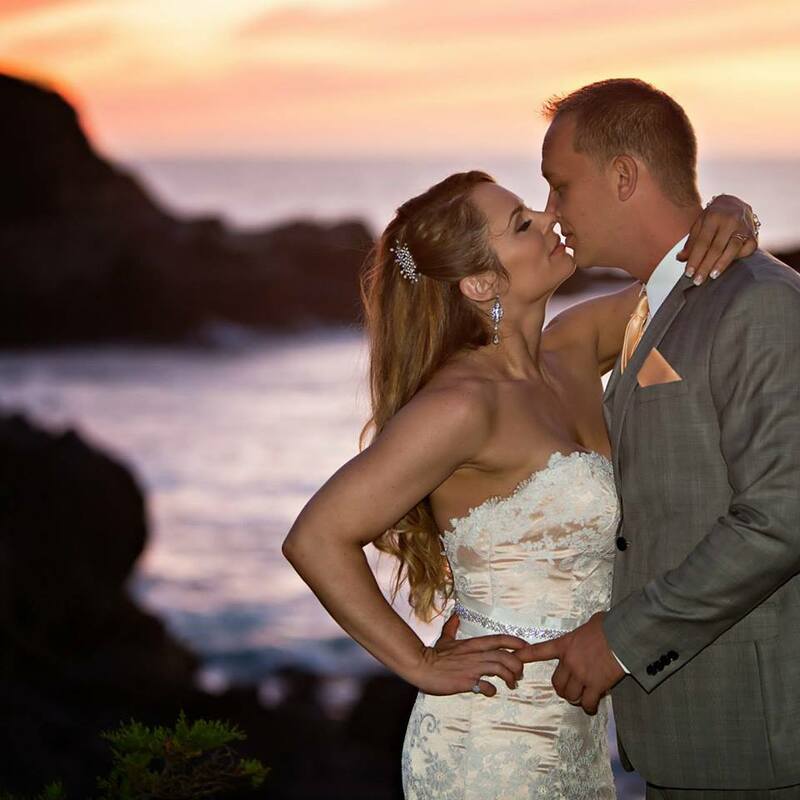 That’s her photo at right at Carmel-by-the-Sea on the day of her wedding. A little later, a lovely lady who married in her 50s the man she was once engaged to at age 19 asked me to create a turquoise pendant for her in celebration of this new adventure in her life. I’ve also created fun earrings of hand-dyed silks and gemstones for a young lady to wear at her prom. Life should be full of celebrations! Thank you for choosing Reconfigured Art Jewelry!